In May, HelloFresh reported first-quarter losses more than tripled, to €27.3 million, despite soaring revenue. In April, Rocket slashed the estimated value of one of its biggest—Global Fashion Group—from about €3 billion to approximately €1 billion, citing share-price movement of its peers, its continued unprofitability and its emerging-markets presence. HelloFresh is battling rivals in the U.S., and rejection in at least one country, France, where consumers have turned up their noses at the concept. Two former HelloFresh executives said the company didn’t attract as many subscribers as expected when it launched five years ago. They said one impediment was that the service appealed to a niche audience: affluent 20- or 30-something couples who consistently prepared dinner at home. HelloFresh is going to be fine. The startup just needs more time to refine its model and processes -both having a lot of room to grow-, while being on a promising course. But time is not what Rocket Internet has right now. Rocket Internet’s stock price is now down to a third of its peak. Trust in the company builder is not at its peak right now, to say the least. Given the fact that Rocket relies on “by the numbers” opportunists rather than passion driven founders to run its startups, articles like this one are not going to help. Rocket’s reputation once was of a fierce force, fast and strongly implementing ideas the company saw were working elsewhere (usually in the U.S.). Combined with a lot of money to invest (for marketing no less), Rocket was feared. It looks ever more strongly now that my assumption of Rocket’s model being destined to make the company at best an “also ran” is turning out to be true. Exclusive interviews with shareholders reveal growing scepticism about Rocket’s sprawling empire as emerging markets sour and technology stocks cool. Its share price has fallen 39 percent this year. 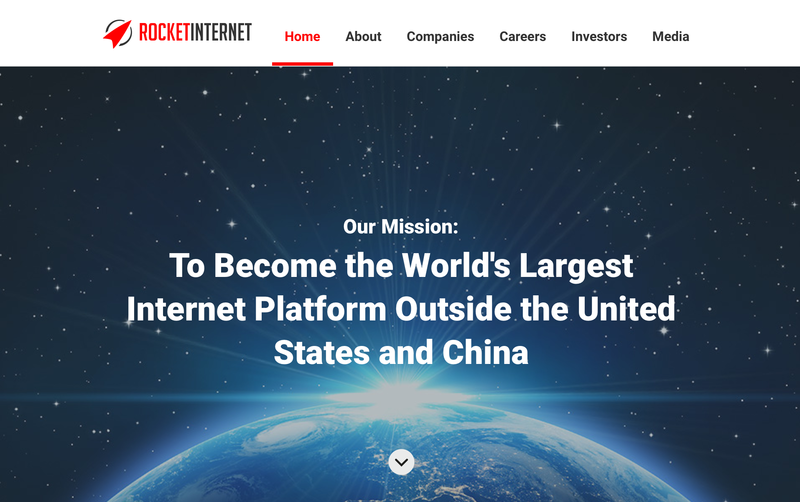 “We believe that the portfolio is worth a lot more,” said Ralph Dommermuth, chief executive of United Internet, Rocket’s third-biggest shareholder, even after he took a 157 million euro writedown on his firm’s Rocket stake in May.